The curriculum at our middle school level recognizes the uniqueness of the early adolescent experience and aims to help develop the whole student with consideration for the physical, emotional, and social development that occurs during this time in a child’s life. 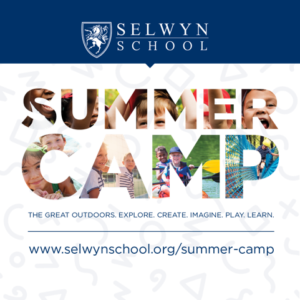 Interested in applying to Selwyn? Start by scheduling a campus visit! Our Middle School Academy classes are well-balanced, including everything from math, language arts, science, and history to computer science, Spanish and physical education. Students may also choose enrichment courses such as art or drama for their electives, and are encouraged to explore their creative and intellectual interests. Through this rigorous and varied curriculum, the student government organization, and our Perspectives Travel Program, our middle school students are given the tools to approach new experiences and are taught the important, lifelong values of personal responsibility, mutual respect, and a healthy curiosity to understand and interact with the world around them. During these two years, we concentrate on interdisciplinary, project-based learning. As middle school is a time of tremendous physical, emotional and academic change, we focus on the process of learning as much as the content learned. All Middle School Academy students will also take art, drama, music and Spanish.